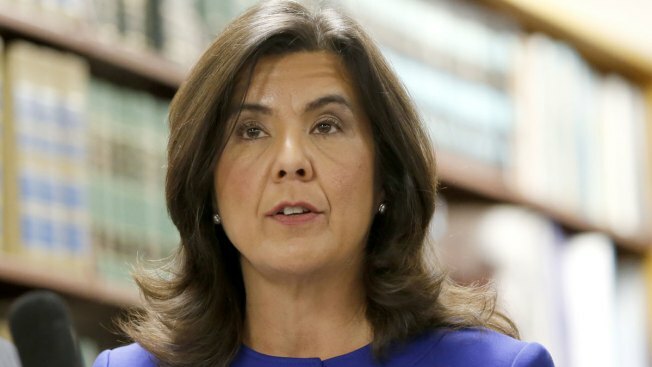 With the election for Cook County State’s Attorney drawing near, Anita Alvarez squared off against opponents Donna More and Kim Foxx in a radio debate that dealt with police misconduct, criminal justice and questions about the incumbent's handling of the Laquan McDonald shooting. Alvarez came under fire last November when a dash-cam video showing 17-year-old McDonald being shot and killed by Chicago Police officer Jason Van Dyke was made public. It wasn’t until after the video was released that Van Dyke was charged with McDonald’s murder, 13 months after the killing took place. During the debate, Kim Foxx, who worked under Alvarez in the State’s Attorney’s office, pointed to a systemic failure under the current State's Attorney. “The lack of prosecutions, or what’s happened in the Laquan McDonald case, is an indicator or a pattern of a lack of prosecutions for this type of misconduct by the state’s attorney’s office and particularly this state’s attorney,” said Foxx, who has received a handful of high profile endorsements including the Cook County Democratic Party. The embattled Alvarez defended her tenure as state’s attorney, claiming that she has run her office with integrity. Donna More, a former state and federal prosecutor who has donated over $250,000 to her own campaign, presented herself as an independent alternative to her opponents while promising to overturn certain policies of the Alvarez administration. "We need a state's attorney who isn't afraid to do what's right, who will use the office as a platform for fighting crime as well as prosecuting crime and who will reverse closed door policies of the incumbent," said More. "I've run this office professionally with integrity and I make decisions based on facts, the evidence and the law," said Alvarez.